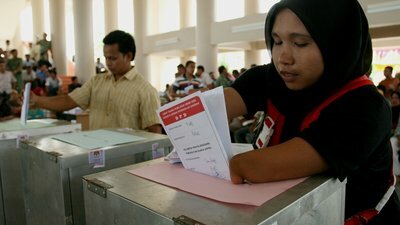 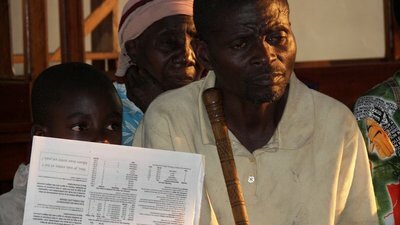 Photographs of citizens learning from and using voter education materials to promote election participation. 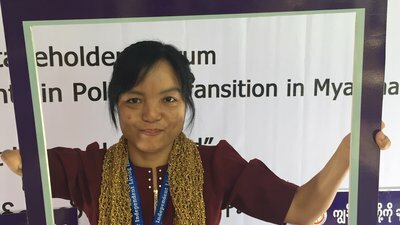 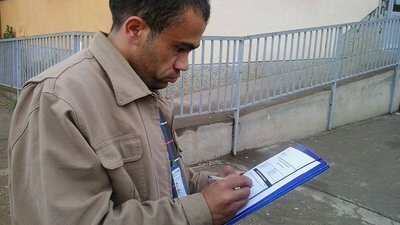 In December 2016, the International Foundation for Electoral Systems (IFES) collected photographs of disability rights advocates from around the world. 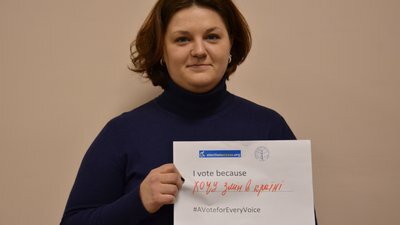 Using the hashtag #AVoteForEveryVoice, advocates shared why they vote, become candidates, and participate in political life. 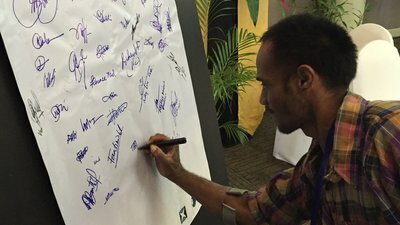 In May 2016, the first-ever Pacific Regional Disability Rights Dialogue took place in Nadi, Fiji. 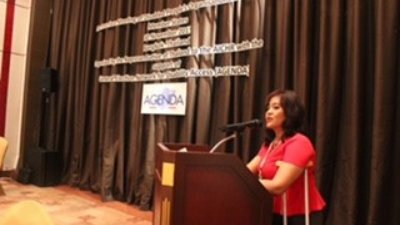 It was the first region-wide gathering of election management officials and disability rights advocates from across the Pacific. 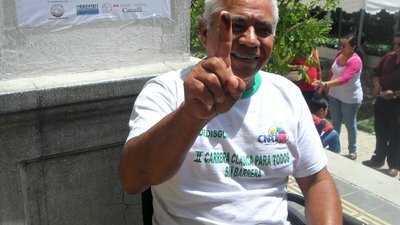 Dominicans with disabilities are trained to be election observers and serve as poll workers for elections in the Dominican Republic. 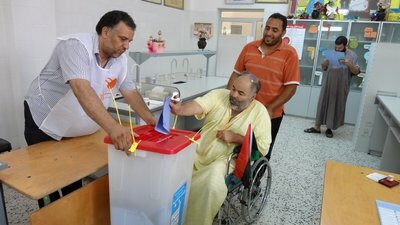 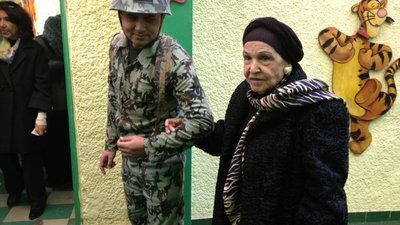 Public discussions about electoral accessibility support voting rights for Libyans with a disability. 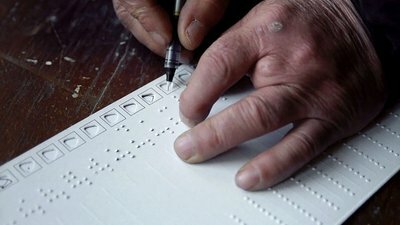 Voters with visual disabilities demonstrate how they mark their ballots using tactile ballot guides. 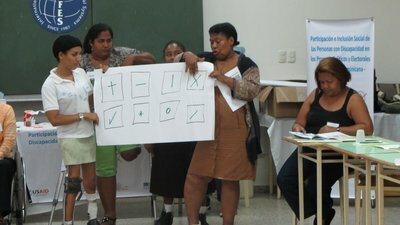 Participants join a civic education session to learn about their country's constitution and voting laws. 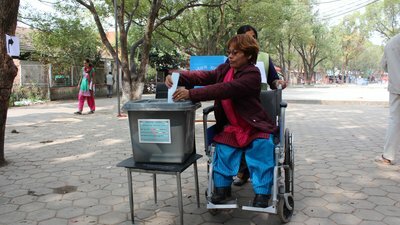 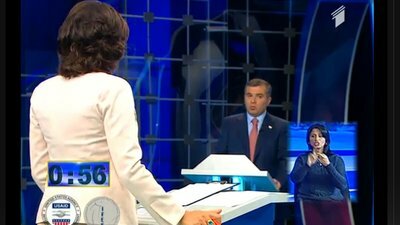 The addition of accessible features to polling stations, such as a ramp, means that voters with physical disabilities are able to access polling centers and vote. 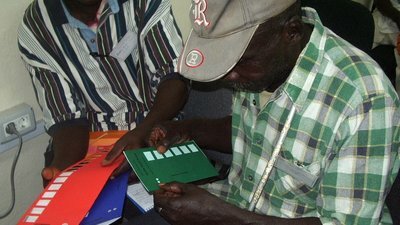 Voters examine different tactile ballot guides that will be used in upcoming elections. 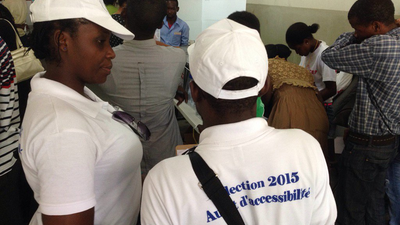 Participants with disabilities attend trainings to learn more about their electoral rights. 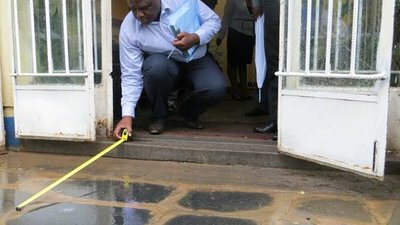 Teams assess polling stations to determine how accessible they are and what features could be modified or added ahead of election day.